How to choose the best builder for you and your project’s very specific needs. This stage involves a range of procedures to identify and evaluate potential builders and specialists for the construction of your project. This stage assumes that your architect is engaged to provide the subsequent stage of Contract Administration Services. Every builder has strengths and weaknesses. You may be considering a large, established building company that has multiple projects being built at the same time. 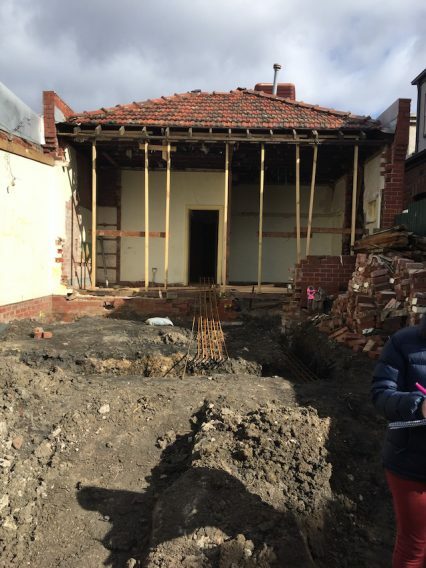 Or you may want a builder who is a ‘one man/woman band’ with a ute and tools, a builder who is hands on, highly responsive and a craftsperson who loves the detail. Our builder selection process establishes the cost and the duration of the intended construction works. Our process also assists to better understand the value of the builder and determine any hidden risks. Aspects that we consider through this consideration stage are: does the builder understand the nuances, and any tricky implications of the design or site complexities (potential cost and time implications)? ; how do they work (are they clear communicators)? ; and, what other commitments do they have? You may have a builder in mind, or, you may have no idea what to look for in selecting the right builder for your project. In either situation we can implement a Competitive Tender, or a Negotiated Offer on your behalf. There are two ways that you might find the right builder for you and your project. The selection of your contractor (builder) via a competitive tender process provides you with an opportunity to acquire a commercially driven, competitive cost for your project. We usually recommend that your project be tendered in order to achieve the most cost effective result for your project. Perhaps you have particular builder in mind who you have worked with before; a builder who you know well, gets good results, reliable and is one that you trust. In this scenario we would provide the Construction Documentation to your preferred builder seeking a proposal for Cost of Works, duration of the Works and negotiate any special conditions that your project might require. Want to talk about getting the right builder for your project?